The Stirling is lightweight sport enthused aftermarket wheel made especially for Mercedes fitments. 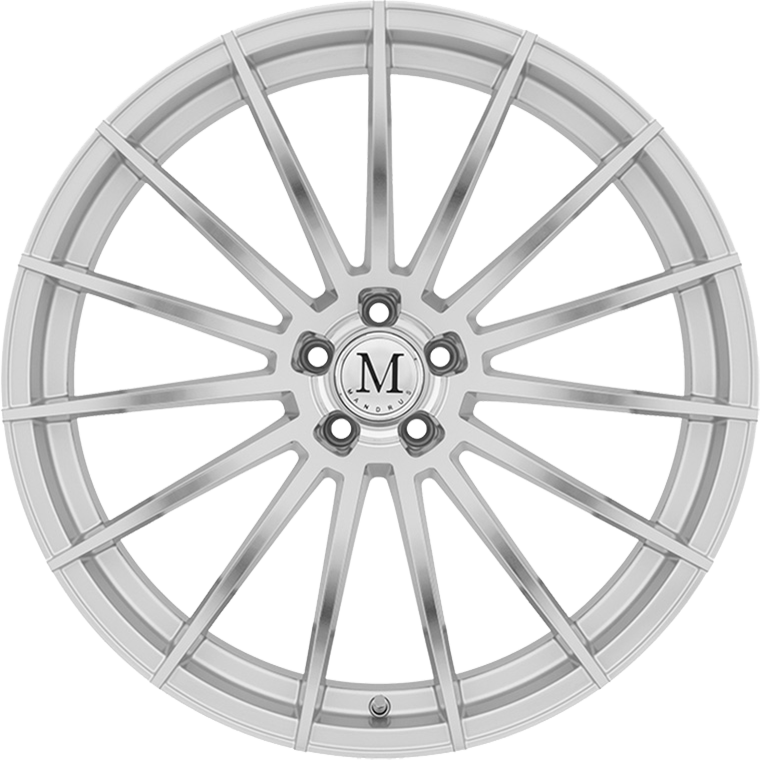 Motorsport influenced with luxury class in mind the Stirling features 15 spokes bursting from the center further divided into 5 even sections symmetrical in size and form. Stirling is available in Silver with Mirror Cut Face and Gloss Gunmetal. The Stirling Rotary Forged® Wheel /RF™ Wheel is manufactured using a highly advanced production technique called Rotary Forging® /RF™. The rim of the wheels is forged at high pressure while the wheel is spun at high speed. This alters the molecular structure and enhances the strength of the alloy. The benefit is a much lighter weight than a regular cast wheel. Most importantly, the weight saving is in the outer rim of the wheel which dramatically reduces rotational mass and enhances vehicle performance.